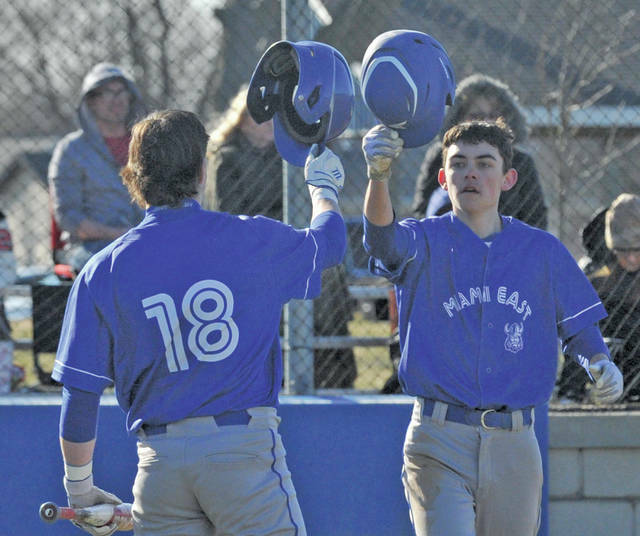 https://www.dailycall.com/wp-content/uploads/sites/30/2019/03/web1_032619jb_me_tylerkirby_18-1.jpgJosh Brown|Miami Valley Today Miami East’s Tyler Kirby is congratulate by teammate Jonah Wolf after scoring a run Tuesday against Bradford at Miami East High School. 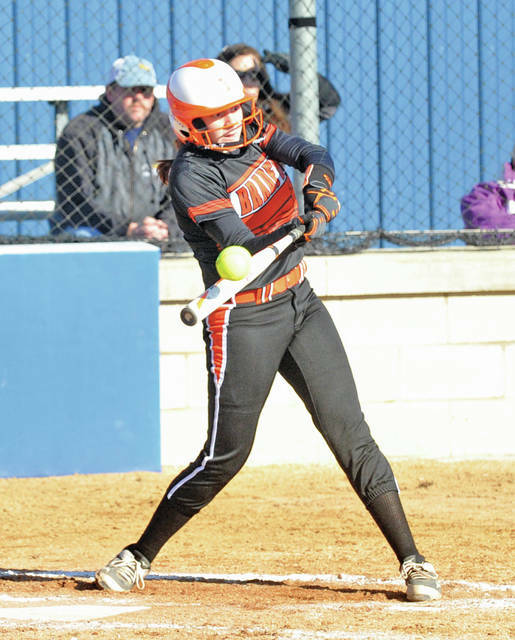 https://www.dailycall.com/wp-content/uploads/sites/30/2019/03/web1_032619jb_brad_24-1.jpgJosh Brown|Miami Valley Today Bradford’s Nylani Birice drives a double to right field Tuesday against Miami East. 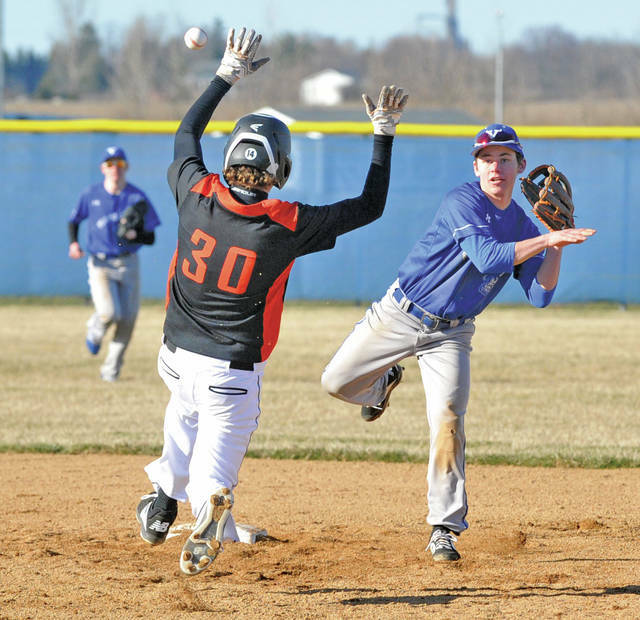 https://www.dailycall.com/wp-content/uploads/sites/30/2019/03/web1_032619jb_me_alexhayes-1.jpgJosh Brown|Miami Valley Today Miami East second baseman Alex Hayes throws to first to complete a double play Tuesday against Bradford. 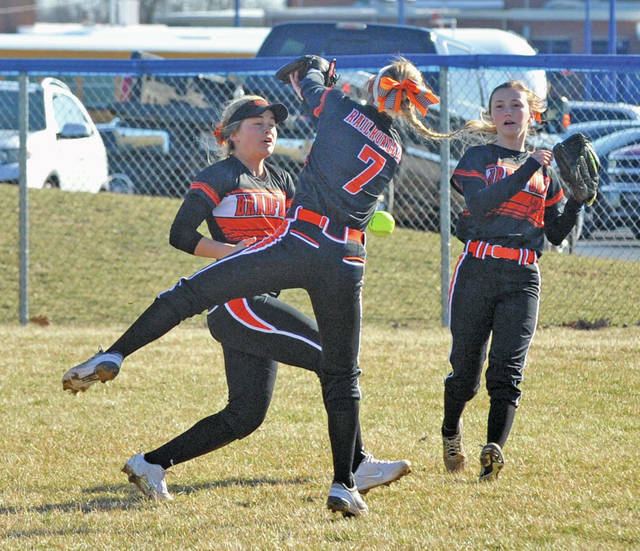 https://www.dailycall.com/wp-content/uploads/sites/30/2019/03/web1_032619jb_me_17-1.jpgJosh Brown|Miami Valley Today Miami East’s Kalli Teeters scores ahead of the tag of Bradford catcher Elisa Martinez Tuesday. 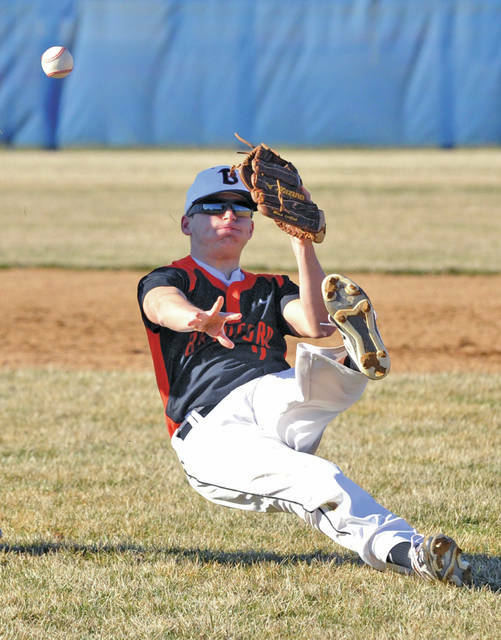 https://www.dailycall.com/wp-content/uploads/sites/30/2019/03/web1_032619jb_brad_gavintrevino-1.jpgJosh Brown|Miami Valley Today Bradford second baseman Gavin Trevino throws to first as he falls backwards Tuesday against Miami East. 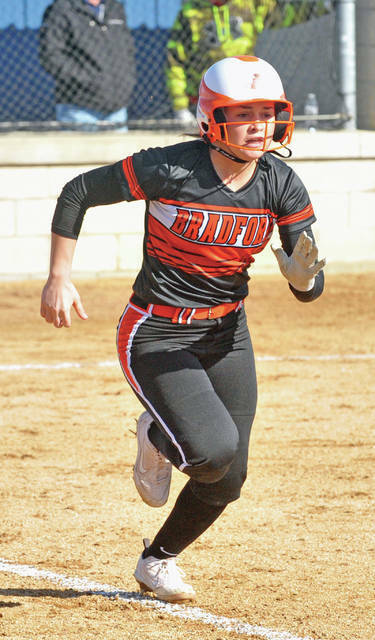 https://www.dailycall.com/wp-content/uploads/sites/30/2019/03/web1_032619jb_brad_2B_SS_CF-1.jpgJosh Brown|Miami Valley Today Bradford second baseman Emma Canan (7), shortstop Austy Miller (4) and center fielder Rylee Canan (22) can’t come up with a popup Tuesday against Miami East. 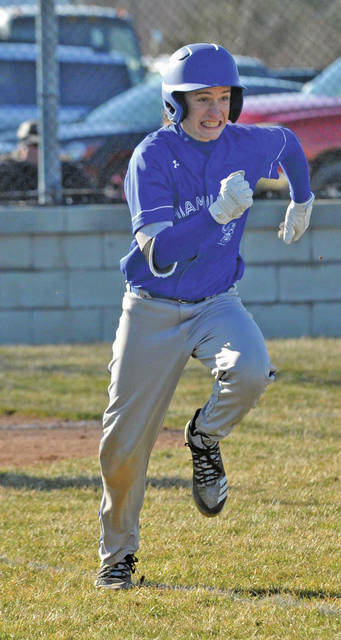 https://www.dailycall.com/wp-content/uploads/sites/30/2019/03/web1_032619jb_me_garrettlemaster-1.jpgJosh Brown|Miami Valley Today Miami East’s Garrett LeMaster runs to first base Tuesday against Bradford. 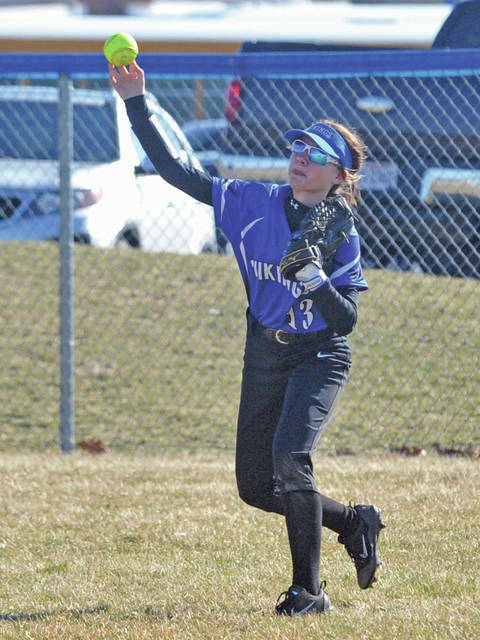 https://www.dailycall.com/wp-content/uploads/sites/30/2019/03/web1_032619jb_me_CF-1.jpgJosh Brown|Miami Valley Today Miami East center fielder Cassidy Walker gets the ball back to the infield Tuesday against Bradford. 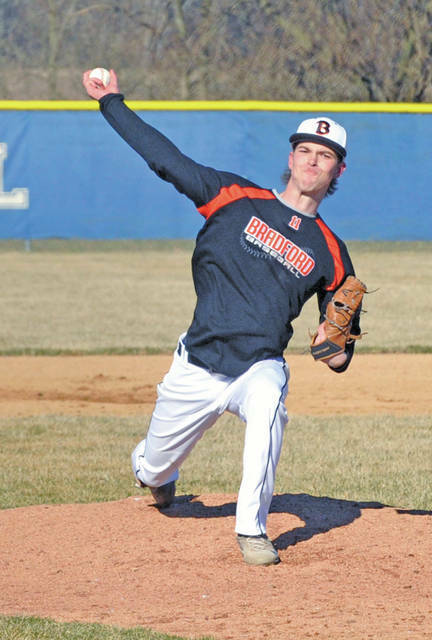 https://www.dailycall.com/wp-content/uploads/sites/30/2019/03/web1_032619jb_brad_larkinpainter-1.jpgJosh Brown|Miami Valley Today Bradford’s Larkin Painter pitches Tuesday against Miami East. 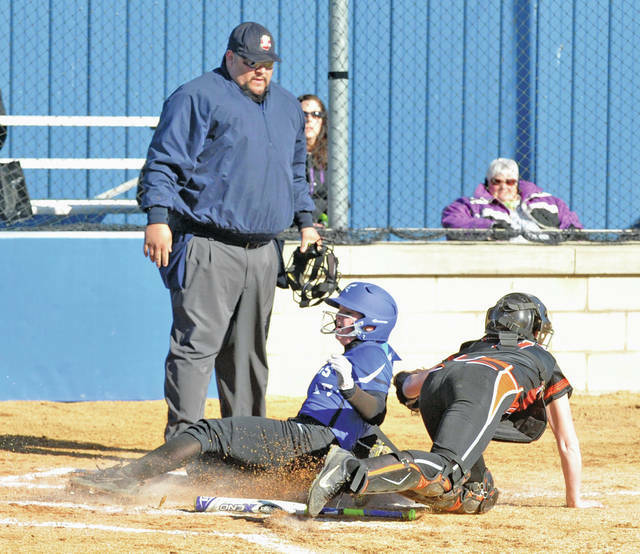 https://www.dailycall.com/wp-content/uploads/sites/30/2019/03/web1_032619jb_brad_austymiller-1.jpgJosh Brown|Miami Valley Today Bradford’s Austy Miller races to first base Tuesday against Miami East. 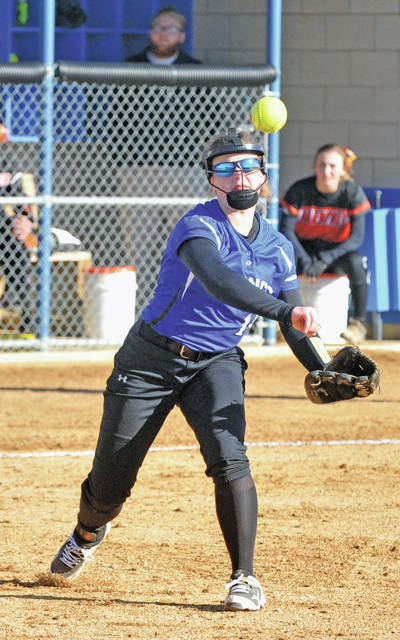 https://www.dailycall.com/wp-content/uploads/sites/30/2019/03/web1_032619jb_me_kyleighkirby-1.jpgJosh Brown|Miami Valley Today Miami East pitcher Kyleigh Kirby throws to first for an out Tuesday against Bradford. 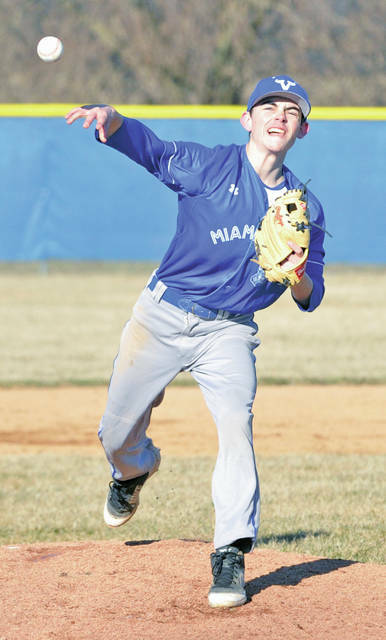 https://www.dailycall.com/wp-content/uploads/sites/30/2019/03/web1_032619jb_me_tylerkirby-1.jpgJosh Brown|Miami Valley Today Miami East’s Tyler Kirby pitches Tuesday against Bradford.